This book has always appealed to me in a special way. I believe that being born in 1984 in a country which was under a communist regime at that time made me believe that I could find inside the book some of my own memories. I expected much from this book and I got even more. 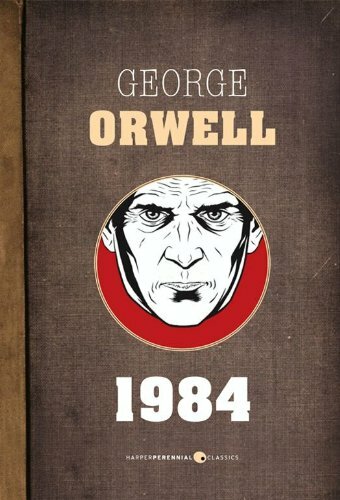 I found in Orwell’s work things that I and my parents lived, and this made it much easier to understand. I really recommend reading this book to everyone. It makes you understand many things that are being hidden from us and it makes you think twice (or thrice) before believing what is told on the News. I never enjoyed the stories about superheroes with superpowers that supersave superpeople, but this time I wanted to give it a try. All I remember about Batman from my childhood is that a neighbour of mine wore similar clothes and he was always saying that he would save us all. In fact, one day he came and said (I was 11 years old at that moment) “at 3pm the thiefs are coming to Vaslui (my natal town) and they will attack us, but don’t worry I will save you all”. I remember being scared and not telling all this “secret” to my parents (??) and I remember him with the Batman costume shouting “come, thiefs, come, I will show you who is Batmaaan”. As a grown up, this neighbour of mine, is a completely normal person, in case there were doubts. Anyway, going back to our theme, despite of what I expected from the movie I was very impressed. 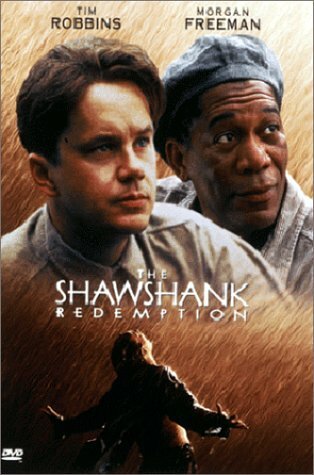 The movie is an example of how to make a movie based on a comic. It keeps all your senses awake until the end, it does not let you breathe, it always surprises you, and apart from this the photography and special effects are just perfect, they could not picture better Gotham city and the fear that its inhabitants felt, it could not picture better Harvey Dent, and of course, it could not picture better the Joker. 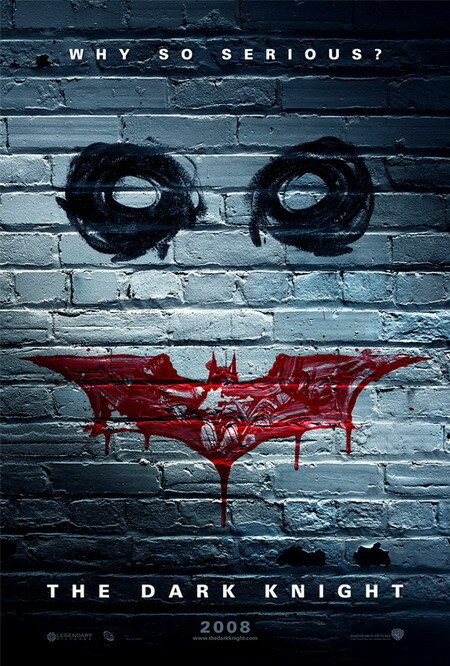 After watching it I came to like Batman, he is a superhero, but the kind of superhero that does the things by himself, not the superpowers type of hero. I assume there will be a second part of the movie, as for some of the characters the ending is not definite and I believe it was this way intentionally. The movie has a rating of 9/10 on www.imdb.com with more than 300.000 votes until now and that makes it the best movies of 2008 and I think that is a fair rating and recognition for Chrisopher Nolan’s work. A great movie, indeed. As I will need to buy lots of books in English the next 5 years for the University I have looked for libraries which sell books in English here in Barcelona. 1. The first one I have found, in fact, I have visited it many times and bought quite a few books there is Come in. In this one you can find most of the books your teacher could recommend you, but I think that the classical novels have a poor quality. 2. The second library I want to mention is Hibernian Books, a secondhand English bookshop. Here you can find basically everything and as it is a second hand shop you can find better editions for a cheaper price. I bought yesterday a very nice edition of South of the border, west of the sun by Murakami for just 3 euros. 3. Elephant Bookshop – this one was recommended to me but I didn’t get to visit it yet. This library offers secondhand books in English for not more than 3 euros. They are moving right now, so I don’t know the new address but if you’re interested keep an eye on their website and you’ll find it out. 4. BCN Books: this library also offers books in English. There are three BCN Books Libraries in Barcelona and one of them is very close to where I live so I hope to be able to visit it soon and post about it. You can also find some books in English in the most important libraries (Casa del Libro, Fnac, etc), but in these ones you can find mostly everything you need for a much better price. Living in Barcelona is not cheap at all, but when you also have children it can be painful. A. is already 9 months old and as here in Spain the maternity leave is just 4 months we decided to take him to a nursery school in September when he will be one year old. We knew from friends that finding a place in a public nursery is something close to impossible, but we felt like trying at least. The system is quite bizarre, it works like this: you have to submit your request, then all requests receive a number and then another number is generated randomly and based on this last number you take part in a draw. No, not an usual draw. They basically choose a number starting from which the requests will be accepted. This is something I really did not understand. Of course, when the number was published we realized that we weren’t lucky so we started to look for a private nursery thinking that we would be more lucky. WRONG! We visited a few and they were full, no place. Finally a colleague from work managed to obtain a place for A in a nursery not so far from home. I really do not understand how this system works. In Barcelona a place in a public nursery costs 250 euros per month, while the private costs between 400-500 per month. We will take A to this private nursery 5 hours and a half and we will bring him home to eat and sleep, as this way we can save 200 euros per month. I think this price is exaggerated, and if all the nursery schools are full is not because everyone in Barcelona is rich, it is just because we don’t hope for a solution and if we want our sons to grow up well we have to make this sacrifice. It’s sad and I hope the Government will look into this as soon as possible and solve this problem, otherwise Spain will start to ask the immigrants to come here, as they are the only persons that still have children nowadays in Spain. 1. If you’re new here, or you are planning to come to Barcelona I really recommend you to rent a house or buy a house somewhere close to Barcelona but not in the city. If you have children or you’re planning to have children Barcelona is a very very expensive place to leave. 2. If you’re already here and you are looking for a place in a public nursery you should start all the process in April approximately. The nurseries first organize a visiting day for the parents to see the nursery school. This day is usually published on the web Escolas Bressol de l’Ajuntament de Barcelona. Here you can find info and photos of the public nurseries and also information about the admission. 3. Even if you request a place in a public nursery I recommend you start visiting private nurseries in february and book a place for your children there, just in case you are not lucky with the public one. You can consult the list of public and private nurseries from Barcelona on this web page and on this page you can find more information about the admission process. 4. If you did not find a place in a public or private nursery you can still choose one of the toy libraries in town where you can leave take your son to socialize a bit and you can also leave him there with a tutor a few hours a day. That would be all for today. Good luck! I personally enjoy Michael Moore’s movies and when I found out that he produced Sicko i really wanted to see it. I had no idea what he would talk about in this movie, but I wanted to give it a try. After the first two minutes I spend the other 1 hour and 58 minutes of the movie with my mouth open, I could not believe my eyes. The movie is about how healthcare works in the US, not about the 47 millions of Americans that do not benefit of healthcare, but about the 250 millions that do, but that do not receive the treatment that they should. About the doctors that receive bonuses for denying treatments or worse, for letting patients die. It’s not the amount of money you pay for the healthcare, which is, actually, one of the highest in the world, but about paying all this money for nothing: they will find any excuse to deny any surgery, any treatment so that the company does not spend money and they increase profits (there are persons that are paid for doing this). It’s a shocking movie. I am used to going to the doctor anytime I need without paying anything. I pay it through taxes and I receive a fair healthcare, as all the Spanish or foreigner people that come here. There is a ranking that Michael Moore talks about in the movie. United States of America is the 37th in the ranking of the world’s health systems realized by the World Health Organization. Even Costa Rica has a better system than the US. Actually, in the movie Michael takes a few persons that helped in the rescue on 11/9 and got sick after that and who did not receive a correct treatment in the US to Cuba where they receive medical attention for free. In this ranking I looked for Romania and I found it… rank 99. Romania has universal healthcare, but all Romanians know that if you need to see a doctor you will have to pay extra-money to be treated ok, otherwise you might see yourself forgotten in a room during a few days. It’s how it works and all Romanians accept it as something natural. You get medical attention even if you don’t pay, but in most of the cases the doctors wait for you to give them money (and not only the doctors, the nurses also and any other person in the hospital that you need to see). This world we live in is very sad. I am so disappointed. After reading Kafka on the shore I could not resist buying a new Murakami novel. 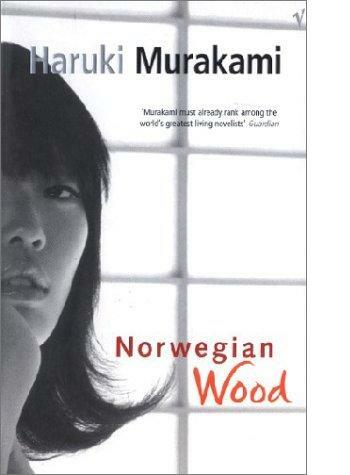 This time it was Norwegian Wood, the only realistic novel that Murakami ever wrote. Toru Watanabe, a 37 year old man finds himself in an European airport and suddenly hears a song that brings back to him lots of memories from his youth. The song is The Beatles’ Norwegian Wood. The rest of the novel tries to picture these memories built around Naoko, a special girl with whom he has a special but very difficult relationship, and Midori, a very human, very lively girl. To many it might seem just a love story that doesn’t even deserve to be read, but I think it’s much more than that. I could identify in the novel many of the symbols that Murakami used in Kafka on the shore: cats, deep forests, etc. I think reading Murakami is an experience which goes beyond the story that he tells. I consider the characters he builds striking, I found the dialogues very interesting, very human and very realistic, the descriptions are very thorough but not boring. I find it interesting to read Murakami, it makes me feel things, that’s what good writers do! I don’t know if it was because we saw this movie at the right moment or because it is really good, but we loved it. It taught us one more time that a movie is not about the story, is about how you tell that story. And there are many ways to tell a story: through pictures, through music, etc. Onceis a musical, and even if the story is not brilliant the music makes the movie brilliant and very entertaining. There’s not much more to say, just take the time to feel this movie, because this is not a movie to be seen, it’s a movie to be felt. 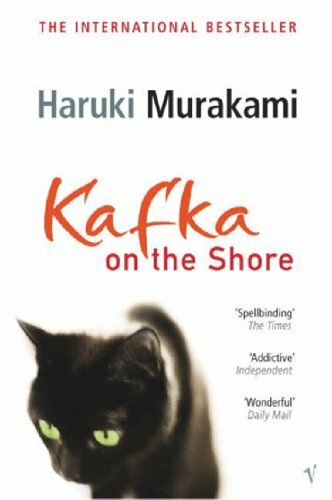 Lately I have heard lots of positive comments about Haruki Murakami so I decided to read some of his novels and I started with Kafka on the shore. I expected to encounter an impressive novel, one of those that you never forget but I found much more than that. The novel is based on two different stories: the story of Kafka Tamura, a fifteen-year-old boy trying to run away from his father and from the future that his father predicted for him (based on Oedipus myth), and also trying to find his mother and sister who left him when he was 4 years old. On the other side, Satoru Nakata, a sexagerian who lost most of his mental faculties when he was a young boy during a peculiar incident. Their stories are quite different but, at the same time, they seem to have much in common. This novel can be considered a modern Greek tragedy, a manual for understanding Beethoven, a “how to communicate with cats”, a tribute to “mentally defective” people, a lesson on how to be the “toughest fifteen-years-old boy in the world”, a lesson of Japanese culture, or it can be considered a great novel which perfectly combines all of the above. I definitely choose the second option. Today we entered the video club looking for a nice movie to see on a Sunday night but we could not decide on what movie to see. We finally saw one about the revolution that took place in 1989 in Bucharest. We were not very enthusiastic about this movie but we finally took it as nothing else seemed interesting. The first image of the movie was the town hall of my home town. I could not believe my eyes, but yes, that movie was filmed in my home town, Vaslui. We saw other familiar places and we started to enjoy the movie much more than we thought we would. We spent a quite good time remembering Vaslui and trying to find out where the buildings in the movie were located. The strange thing is that Bruno told me that one of the character’s house was situated next to my parents’ house and I did not believe it until the end when a bridge which is situated right in front of my parents’ house shows up in the picture. I lived there for 18 years and Bruno who spent there two weeks knows it better than I. Shame on me. The movie was really good, not because it was filmed in my home town, but because the actors were really good and the screenplay also. It’s much better if you understand Romanian and know some things about Romania and Romanians, but even if you don’t you will surely spend a good time seeing this movie. I can say I have one more reason to be proud of my home town, and I am also proud that a movie produced with a very limited budget got to win so may prizes and nominations. Very good job! More info on this movie here.